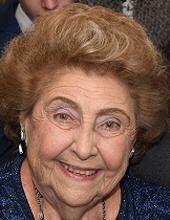 BOGOSIAN, MARJORIE "MARGE" (NEE BERBERIAN) AGE 86 OF NEWTOWN SQUARE AND OCEAN CITY , NJ. Beloved wife of the late John S. and devoted mother of John Paul (Jennifer), Joanne Bogosian-Ikeler (Rob) and Karen Leigh Bogosian; also survived by her granddaughters Alexa and Devon Ikeler. Relatives and friends are invited to her Memorial Service on January 26, 2019 at 11:00 AM in The Armenian Martyrs Congregational Church, 100 Edmonds Ave., Havertown, PA .19083, where friends may call after 10:00 AM.